Since I’ve been interested in, and working in, employment law for most of my 38 years in practice, not a week has gone by when someone hasn’t called me to complain that they’d been wrongfully terminated. They believe I should take their case and sue a former employer for the said wrongful termination. More often than not the person knows exactly why they were fired. They frequently tell me that it is because their boss made a mistake believing something another employee told him or her about the caller. Or I’m told that their employer has just made a mistake about something the caller did wrong that, in fact, the caller didn’t do wrong. They tell me getting fired just wasn’t fair, was based on inaccuracies, a mistake, and was therefore wrongful. Usually my first response is that “employment law is generally always unfair to the employee”. 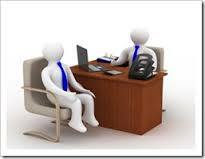 An oral contract of employment is usually no more than an agreement by an employer to pay an employee for work. That’s it. being sued for having done so. Because the law generally attempts to be fair, and since the employee has the right to leave a job for any reason, the law reasons that an employer should, and does, have the same right to fire an employee for any reason, or no reason. In the absence of a written contract an employer may discipline or terminate an employee for good or bad, right or wrong reasons. That’s what the at will doctrine says. But, there really is “wrongful termination”. Actionable wrongful termination, the kind that can result in an award of damages to a fired employee, is based, primarily, on the employer’s motivation for firing the employee. If an employer fires an employee because of the employee’s race, religion, national origin, creed, color, ancestry, physical or mental disability, medical condition, or perceived medical condition, marital status, age, gender, or sexual orientation, which are known as protected classes, it is a wrongful termination. It’s the motivation that counts. And it’s the motivation that the employee has to prove in court. The second way someone can be wrongfully terminated is if the employer takes that action in violation of an express public policy. An example of that is firing someone for serving jury duty. We want people to serve as jurors as a matter of public policy. Therefore, if an employee is fired for doing so the termination is wrongful. Under current wrongful termination law, only a termination based on being a member of a protected class, or in violation of public policy, is a wrongful termination. 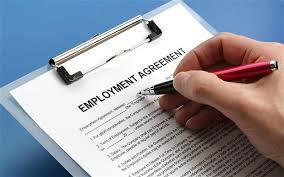 However, and there is always a “however” in this business, if there is a written employment contract, signed by both the employer and the employee, the termination is treated like the breach of any other kind of contract.